Trooper has been patiently waiting for a new home over a year at the shelter. He doesn’t do well with dogs or cats so it’s been hard to find him a new family without any pets. Please help spread the word about this deserving guy and let’s find him that special home he deserves. 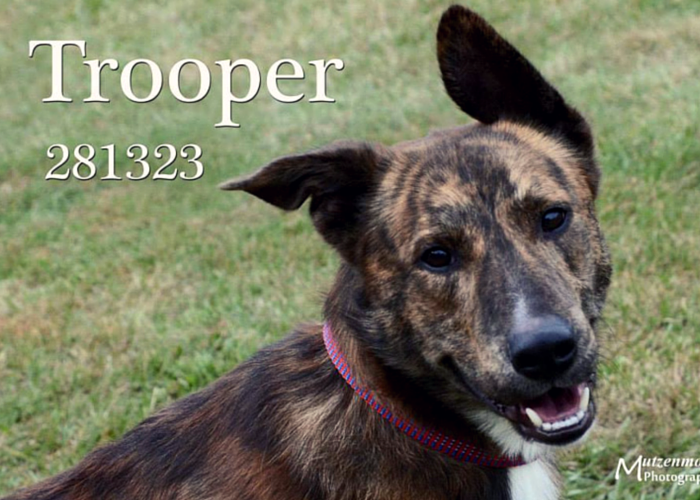 Update – 02/07/15 – After more than a year Trooper was finally rescued today! 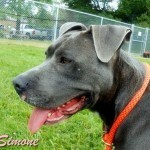 Trooper has been waiting for a new home for over a year at the Oakland County Animal Shelter. 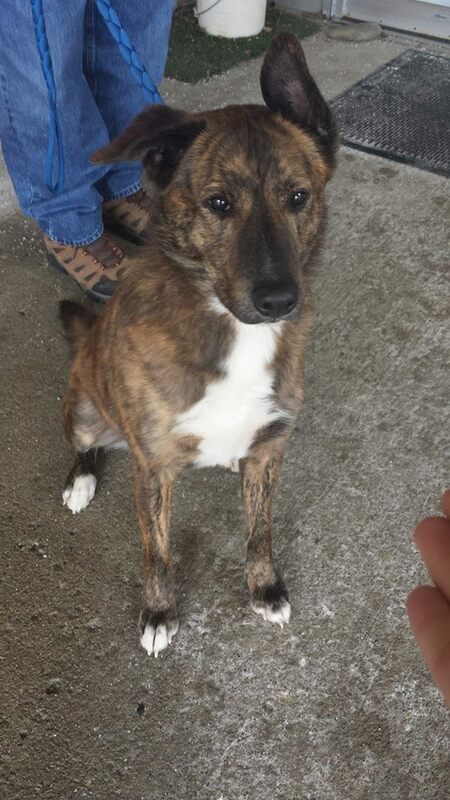 He’s a Shepherd mix that’s approximately 3 years old and weighs 50 pounds. 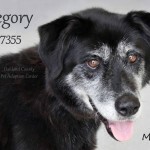 He doesn’t do well with other dogs or cats so he needs to find a family that can have him as an only dog. Let’s find Trooper the special family he’s been waiting for. 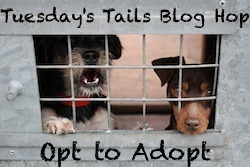 The Tuesday’s Tails blog hop is hosted by Dogs N Pawz & Talking Dogs. 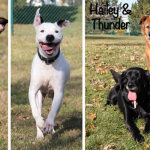 It’s the weekly hop that features shelter pets looking for their forever homes. 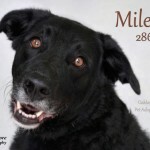 Join in or share these lovely pets – let’s find these animals the loving homes they deserve. 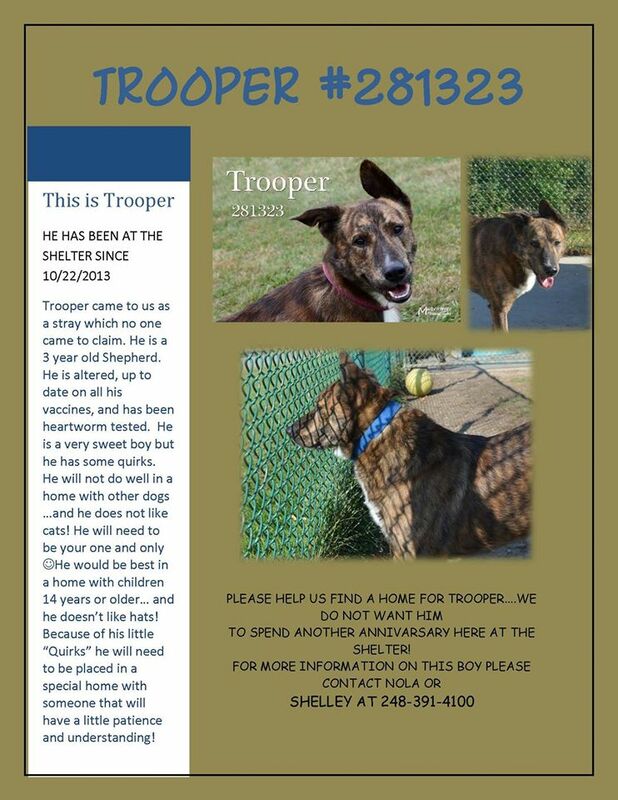 Sounds like Trooper is in need of a special home. I hope he finds that right person soon. Those ears! That blotchy brindle fur! Trooper is such a handsome boy! I hope he finds his perfect match soon. Sharing. He is gorgeous! One year is way too long for any dog. Paws crossed he finds his new home soon. Sharing. Oh, sweet Trooper! What a beautiful boy. Hang in there, buddy! There’s a home for every dog! Just ask my friend Clark… he was at my local shelter for almost a year and he finally went home a few weeks ago! I hope Trooper finds a new home soon! Sharing him!